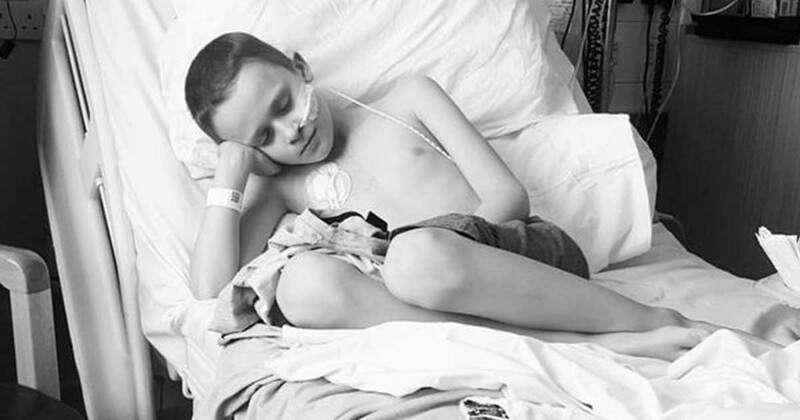 Bailey Cooper was only 9-yeara-old when he passed away, but his brave heart still inspires many. 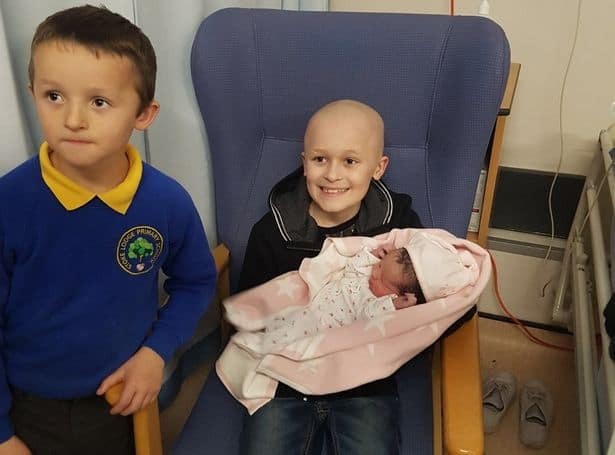 According to his doctors, the British boy had only days or weeks left to live yet Bailey managed to live long enough to meet and cuddle his baby sister. He had been battling cancer for 15 months. Bailey was diagnosed with a rare form known as Non-Hodgkin Lymphoma, which develops in the network of vessels and glands in the body. His parents, Rachel and Lee, were devastated the moment they heard the news. By the time the doctors discovered his disease, it was already at Stage Three. 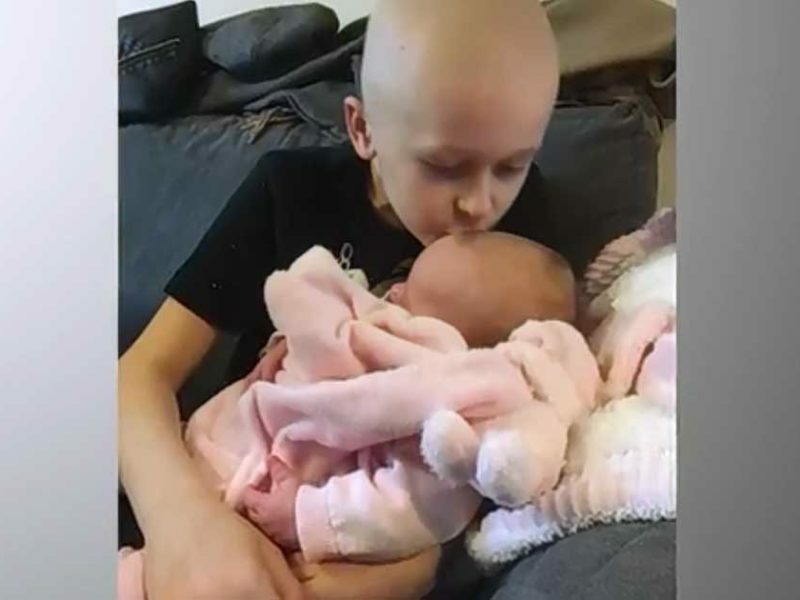 They immediately went through chemotherapy along with steroid medication and after some time, Bailey’s cancer went into remission. But the family received a sad call. 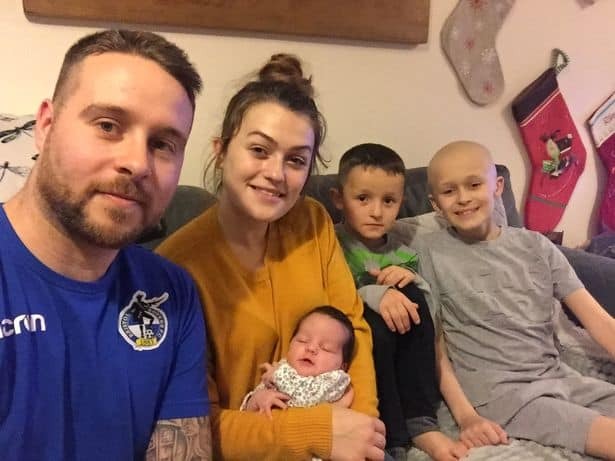 “On the second day, we were in Paignton Zoo when we had a phone call from the hospital that he had relapsed and they needed him back in. Bailey showed signs that he was breathless and tired.”, Lee said. Bailey’s cancer returned, but his family never give up. They held onto what the doctors said that there was a 70 percent survival rate. They tried everything they could. Even though Bailey went through so much pain, he still managed to smile through every round of treatment. The doctors tried their best to save him, but the cancer spread quickly. They even told Bailey’s parents that he wouldn’t last long, maybe only days or weeks. But despite this news, Rachel and Lee were very transparent with their son. They told the child right away about his condition. Bailey broke down but still managed to get back up and smile. Because Bailey knew that he didn’t have enough time left, he told his parents ahead of time that he wanted everyone to dress up in superhero costumes for his funeral. Even when Bailey was struggling, he fought to live until his baby sister was born. On the way to the hospital, Bailey named his baby sister, Millie. “We didn’t think he would last that long, but he was determined to meet Millie. It got to the end of November, and Millie was born. He hugged her and did everything an older brother would do – change her, wash her, sing to her,” his mother Rachel said. With a courageous heart, his parents managed to ask him to put together a Christmas list even though they knew it would be his last one. They discovered that everything that Bailey listed was for his little brother, Riley. Bailey knew that he wouldn’t be able to play with his little brother and wanted the gifts to go to him. On December, Bailey’s grandmother told the brave boy that she wished she could take his place. On Christmas Eve, Bailey went home to be with God. Bailey’s wonderful testimony serves as a glimpse of hope especially to those who are suffering terrible sickness. Instead of looking at the tragic part of his life, Bailey chose to celebrate every single day of his life with gladness. “Bailey smiled through it all. He made funny faces and made people laugh, even though he was in so much pain.” Lee said. He lived his life with a huge impact on the people around him. He is a sweet reminder of God’s courage and hope. His family will forever treasure his life here on earth. This article was compiled by Kriza Jo L. Tanduyan.